So let us continue the list! 500 resident island near Fukuoka. Great fishing spot if you are into fishing. There are said to be ca 100 cats living on this island. On 1.25 km2 area there are two schools. 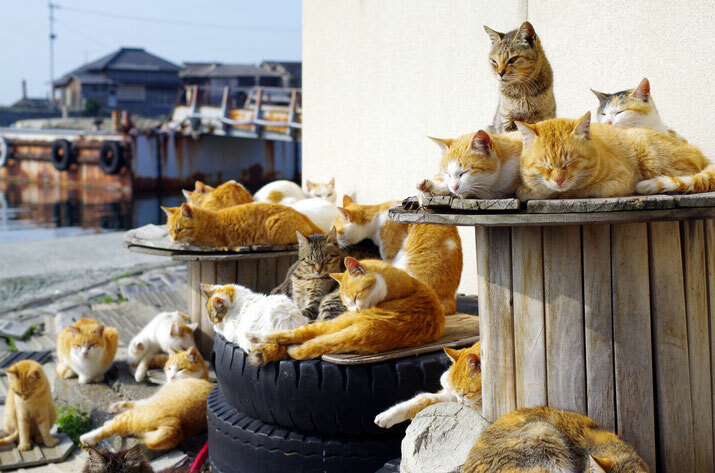 This is one of the two cat islands featured in CNN (the other being Tashirojima) as " the island dominated by cats" . Address: Shingū-machi, Kasuya-gun, Fukuoka. There is another Ainoshima of Kitakyushu city, Fukuoka which is also one cat island. There is a bridge connecting to the island thus no boat needed to get there. The island is not full of cats but we found many cats on our last visit to the island. There are several nice sea food restaurants and shops on and around Eonshima. 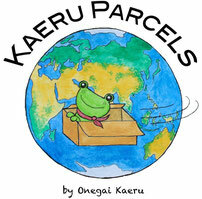 If you are only visiting Tokyo area, check this place out. You can combine your trip to Kamakura - a Japan's ancient capital city with a big Buddha statute. For the last 2,3 years the number of cat decreased. The island was featured by several media as an island with many cats when one of the cats was involved with a crime incident in 2012., where a cyber hacker who illegally controlled someone else's PC hid a SD card in the tiny box attached to the neck of one of the strayed cats on that island. The recent decrease seems to have reflected the increase of attention to Enoshima as a cat island. Some say these cats have been kidnapped...(!) If you know why many of the cats disappeared from the island, please share. For example, if you take a train from JR Tokyo station, it is around 1 hour trip. First you take a Tokaido Line (Tokaido Honsen) to Fujisawa station then change to Enoshima line. Or take a Shonan Shinjuku line from Shinjuku station to Fujisawa station then change to Enoshima line (this is also around 1 hour). Probably the access is as easy as Enoshima. As many cat islands' background, the fishery industry took care of cats which can get mice. ca 300 cats and 300 people. Nice beach and camping sites in the summer. More cats than its residents (ca 300). Many family names are Manabe. Some famous movies e.g. Gokumon island shot. There are some inns, restaurant, vending machines on this island. Access: by boat. Take the boat from Kasaoka port to the island. It is around 1 hour and 5 mins. 990JPY. There is also an express ship. It is 45 mins. 1710 JPY. Around 500 people (70% is older than 65 year old) living. Good that there are several ryokan and inns. No. of cat is unknown but one inn on the island says there are "many cats". Around 400 people living. One of the Kutsuna islands. Agriculture (mandarin orange) and fishery are main industries. You can rent and ride a bike. No place to stay over night. Based on the island tradition, keeping dog is not allowed. Maybe this is why cat has flourished. You may see wild hogs which started living there after they swam from the main island. Around 200 people living. Main industry is fishery and camellia (like Toshima island we featured). More cats than human (i.e. around 500 people). Actually nice swimming locations for the summer. There are two swimming areas on the islands. Need a local tour guide? This list is growing every year. Do you know more cat island or area full of cat? Please share with us if you want. If you visit one of these cat islands, please follow the local rule about cats and all. Some islands have rules that you can only feed in specific area etc. Feeling hunger in Tokyo? Check this special articles where you can get full at super cheap price!